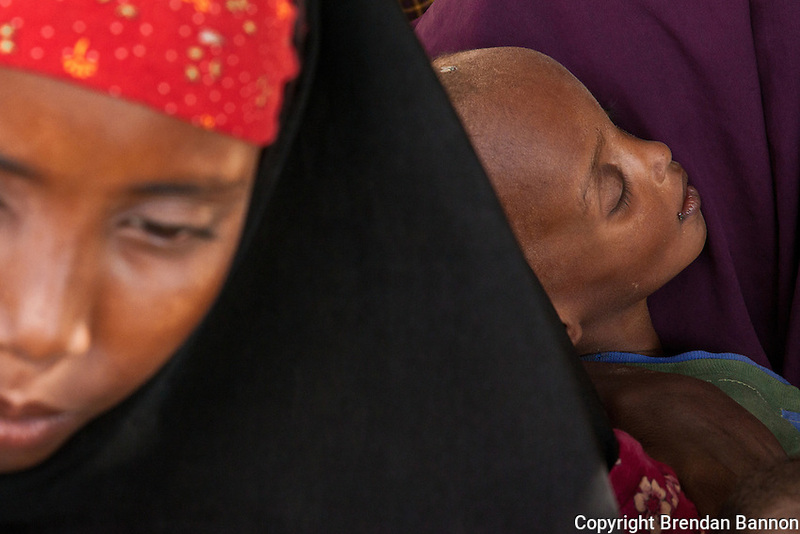 Mother, Malaboy, 26, cradles her severely malnourished baby Mahad, age 2, in Dagahaley refugee camp. The family arrived to the camp in June after fleeing drought and war in Baidabo, Bay region, Somalia. The journey took them 20 days. They travelled by road to Dobley at the Kenya border. From there they travelled by foot and were set upon by bandits who beat the adults. Mahad was later admitted to the therapeutic feeding center at the MSF run hospital in Dagahaley.